If you’re anything like me, music plays an important role in your daily routine. Well, it can play an important role in your language learning routine too. Songs are a brilliant way to learn the language you love and develop your listening, reading and comprehension skills. Using music and songs to learn a language can be extremely beneficial, especially if you’re an auditory learner or have a well-developed musical intelligence (not sure, if you have such intelligence? Have a look here to find out!). Songs can spice up your language learning sessions and lift your mood when you’re bored of just reading ,writing or studying grammar. So without further ado, here are 10 ways to learn a language through songs. ENJOY! In my iPod and iTunes I have a playlist for each language I speak and that I’ve been learning. I use these playlists to listen to my favourite Italian, French, Spanish and English songs before I start a learning or teaching session in that language. In this way, I warm myself up and ease my brain into what I call the language’s “mood”, so that I get ready to speak that language like a pro! Here’s your next step: create a playlist of songs in your iPod or Itunes in the language you’re learning and listen to it before a learning session. 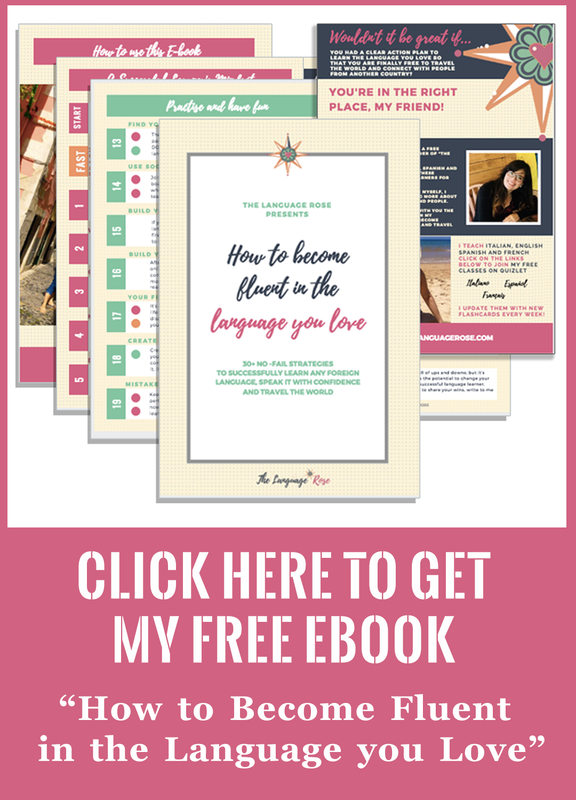 If you dig Spotify, instead, you may want to check out this brilliant article by Lindsay, from Lindsay Does Languages, where you can find great tips on how to use this fab app to look for songs and other audio material in the language you love. Check it out here! If you love having music around you most of the time, the odds are that you are a strong auditory learner or have a strong musical intelligence ( if you’re not sure, here’s again the article where I talk about this!). Having music in the background of your learning session may help you focus and remember better what you’re studying. What’s the most common way of using songs in your language learning? To practise your pronunciation, of course! The good news is that you don’t need to have the Little Mermaid’s voice to sing in your foreign language. You’ll just need a video with lyrics (there are loads on youTube), and the ability to follow along with the lyrics. Singing along helps you not only to improve your pronunciation but also to improve your listening skills. Plus, you’ll have some good fun! 4.Superstar singer for a day! This is a follow-up activity of the previous one. If you love singing, record yourself singing in your foreign language. Ok! Before you say “this is too weird!”, think about its perks: first, this is a very helpful exercise to improve your pronunciation; second, listening to your recording will make you more aware of any pronunciation issues you need to address to in order to have an amazing pronunciation. My favourite resource for this kind of activity is Lyrics Training. Lyrics training is a website where you can find 30 different genre of songs in 10 different languages (it’s AMAZIIIING!). In Lyrics Training, every time you listen to a song, a video and its lyrics will show up on the screen, and, at some point, you’ll get a line with a missing word. You’ll need to type the word in order to continue to listen to the song! And if you don’t know the word? Fear not! You can hit the little arrow on the right hand side to have the gap filled for you and listen to the complete line again. Excellent way to train your ear! Lyrics Training has also different level of challenges for each song (the harder the challenge, the higher the number of missing words! ), and you can compete with other language learners across the world, if you create an account. The best part? It’s free!! I love taking existing songs refrains and change their words to describe my personal experiences or crazy ideas. Can you think of the refrain of a song in the language you’re learning? Write it down and see if you can replace some words with other to create a personalised, crazy version. Have fun singing it later! 7.Do you play an instrument? Yes? No? If not, can you clap your hands? Or tap your feet? or your fingers? Use your guitar, your piano, your drums or the parts of your body to create a nice tune to memorise new words and phrases. This is a creative learning strategy that helps you to remember better new vocabulary. Ready for a comprehension exercise that will blow your mind (in a good way!)? Find the lyrics of a random songs in the language you want to learn. The song must a be an unknown one for you or one you’re not very familiar with. Find the lyrics online and copy and paste them in a new document. Print them and cut out each lyrics line. Mix the lyrics up. Keep mixing. Mix them up some more. Now, try to put them back together and …GOOD LUCK! After completing your jigsaw, listen to the song to check if you put the lyrics back in the right order. Also, ask yourself: which lines could actually have been in a different position than the ones in the original version and still have made sense? This is a good way to test and develop your comprehension skills. Finally, the last two activities are perfect, if you dig translation! If you love translation, you can create a musical translation of your favourite songs, either in your native tongue or in the language you’re learning. In a musical translation, your objective is to convey not only the meaning but also the tune of the song. You’ll realise that in order to do this, you’ll sometimes need to adapt the meaning to fit the right numbers of syllables and words in a line…it’ll challenge you to use the language creatively. For my master’s dissertation I translated the songs of the musical Wicked in Italian, and I find it so challenging and rewarding that when I finally submitted my work, I could but sing my own translated songs to celebrate!! Do you have a specific song in your language that has been translated into another one? I can name many Italian songs that have been translated into English, and some Spanish ones too, but do you wanna know which ones are my favourite translated songs to listen to? Disney songs have been translated into so many languages and you can have some fun comparing their original version in English with another language. Or you can also compare two translations, such as Spanish and Italian! Noticing the similarities and the differences between the original and the translation (or two translations) will help you gain a better understanding of the language and learn new words too. So, here you have them! 10 activities you can use to learn a language through songs. Which activity is your favourite? Do you know any other activity that will help you learn a language through songs? Share it in the comments below! And if you liked this article, don’t forget to share it with your friends by clicking on the social buttons below! P.S. Did you like this article? 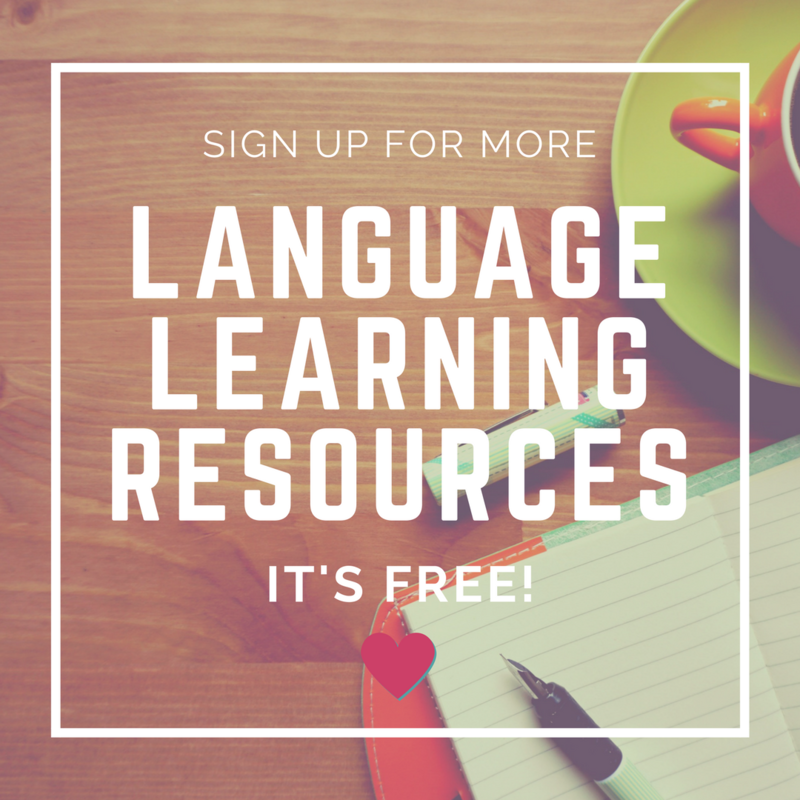 You can find more language learning tips and resour in my free eBook. Download it right here or by clicking on the picture below. 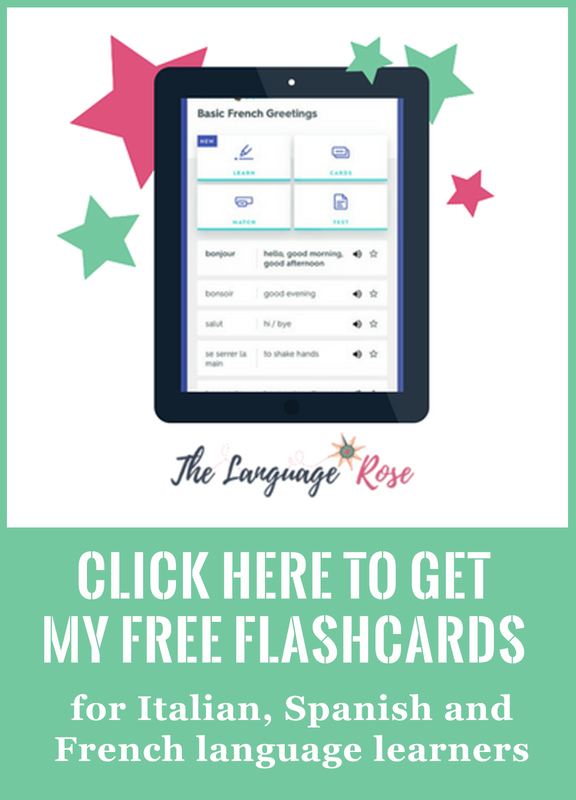 How to learn a language if you don’t have time!